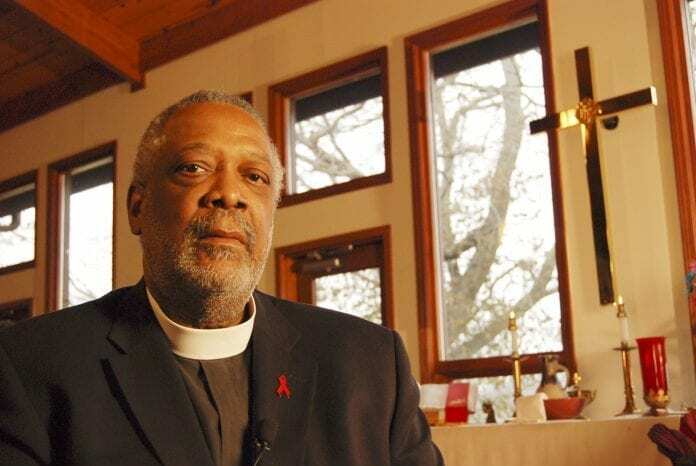 Deep wounds of racism are slow to heal and the clergy must speak truth against the powers that thrive on hatred and mean-spirited behavior that perpetuates oppression, dehumanization, and is destructive to everyday experiences. That’s the way it’s seen by the Rev. Edwin C. Sanders, II, senior servant and founder of the Metropolitan Interdenominational Church which this last weekend celebrated its 29th homecoming with its current worship center. The congregation is 35 years old. Asked why such evil things happened, and what’s to be done, Rev. Sanders replied slowly and deliberately. “We did not come to this place overnight,” he said, noting it’s a byproduct of many generations’ behaviors and “attitudes that have translated into fragmentation and division within our society. In more instances than not, the history of this country tells us that that fragmentation has occurred along the lines of race, culture, gender and other socio economic factors. “The wounds of racism in the United States are deep, and have been slow to heal,” Sanders said. “We live in a society that has ideals that are laudatory, but are, too often, philosophical without practical applications. “We have a culture of guns and violence that continually undermines our ability to live up to our ideals and to be the people who we want to be. “We have to take advantage of every opportunity we have to make sure we speak forthrightly and without fear to the issues that continue to perpetuate the contradictions we find in everyday life that stand in the way of cultivating unity and oneness that is grounded in respect and justice. “If our arena of opportunity is our pulpit, then we, as clergy, must speak truth against the powers that thrive on hatred and mean-spirited behavior that perpetuates oppression, dehumanization, and destructive everyday experiences. “If our arena of opportunity is our positions of political power or influence, we cannot allow narrow self-interests to supersede the collective needs of our people. The Metropolitan Interdenominational Church functions “proactively everyday when responding to social issues and, very often, our response does not just come on days of crisis because, to us, every day is a day of crisis … The atmosphere and environment that fuels the mean spirited behavior that we’ve witnessed in the last few days is an everyday reality. “Our ministry is built around the teachings of our faith which calls us to ‘do justice, love mercy and walk humbly with our God,’” he said, quoting Micah 6-8. “Our everyday relativity as a congregation is focused on responding to the needs of those who number amongst the disinherited, disenfranchised and those too-often left out of the equation of inclusion. “We must become more vigilant in the way in which we provide a Christ-centered critique and analysis of what we witness on every level of our society that is contrary to the values and principles we embrace as believers in the well-spring of that which is good, positive and life affirming. 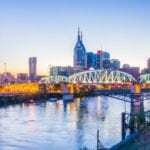 “Nashville cannot afford to continue to live under the illusion that the madness we are witnessing in other cities does not exist in our own city. During the hour-long interview, Sanders was reminded of Gil Scott-Heron’s song in 1971, “The Revolution Will Not Be Televised,” and he agreed that in many respects it is now being televised live through social media through the Inter-net. Still, it’s not all captured on cell-phone video. “Just because someone has’t taken the pictures does not mean it’s not happened,” Sanders said, adding that what’s not captured in a video recording might be something in Nashville.